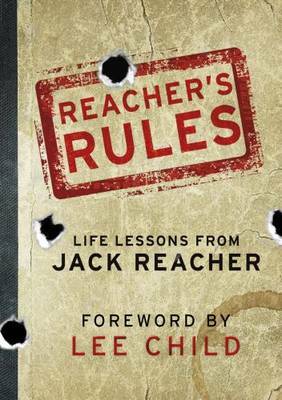 Reacher’s Rules: Life Lessons from Jack Reacher was published in November 2012. 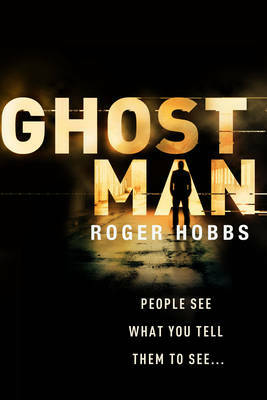 This is not a novel, but a companion book for Reacher fans. Reacher's own rules for life are brought together in this irresistible collection of quotes, life lessons and wisdom from the man himself. As every Reacher fan knows, you don't have to break the rules if you make the rules. If you want to survive in this world nothing else matters. Rule 1. When in doubt, drink coffee. Rule 2. Never volunteer for anything. Rule 3. Don't break the furniture. Rule 4. Only one woman at a time. Rule 5. Show them what they're messing with. 'I don't want to put the world to rights; I just don't like people who put the world to wrongs.’ 'Either you'll walk out of here yourself, or you'll be carried out in a bucket.’ 'I'm not scared of anybody...But I certainly preferred it when he was dead. "Rome: AD69, The Year of the Four Emperors". Three Emperors have ruled in Rome this year and a fourth, Vespasian, has been named in the East. As the legions march toward civil war, Sebastos Pantera, the spy whose name means leopard, returns to Rome intent on bribery, blackmail and persuasion: whatever it takes to bring the commanders and their men to Vespasian's side. But in Rome, as he uses every skill he has ever learned of subterfuge, codes and camouflage, it becomes clear that one of those closest to him is a traitor, who will let Rome fall to destroy him. Together the two spies spin a web of deceit with Rome as the prize and death the only escape. 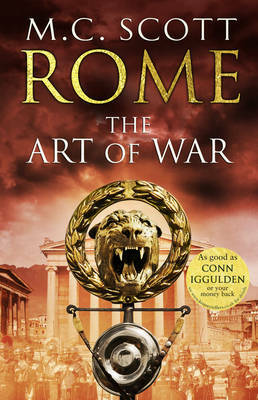 Rome: The Art of War is by Manda Scott and is due to be published in March 2013. Good People is by Marcus Sakey and is due to be published in July 2013. What would you do if, like Tom and Anna Reed, you stumbled on $400,000 that seemed heaven sent? In increasing debt from failed attempts to produce a child, Tom and Anna can’t resist taking the money they discover hidden in their deceased tenant’s apartment. After the initial euphoria, the Reeds find themselves dealing with a deadly drug dealer who wants something they don’t have, a vengeful robber looking for the money they do have and a suspicious cop who knows they are holding out on him. 'The dead can't speak to us,' Professor Madoc had said. That was a lie. Because the body Patrick Fort is examining in anatomy class is trying to tell him all kinds of things. Life is already strange enough for the obsessive Patrick without having to solve a possible murder. Especially when no one believes, a crime has even taken place. Now he must stay out of danger long enough to unravel the mystery - while he dissects his own evidence. 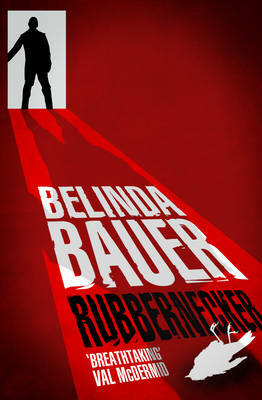 But as Patrick learns one truth from a dead man, he discovers there have been many other lies closer to home... Rubbernecker is by Belinda Bauer and is due to be published in January 2013. 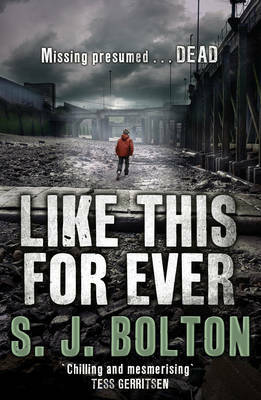 Like This, For Ever is by S J Bolton and is due to be published in April 2013. Bright red. Like rose petals. Or rubies. Or balloons. Little red droplets. Barney knows the killer will strike again soon. The victim will be another boy, just like him. He will drain the body of blood, and leave it on a Thames beach. There will be no clues for detectives Dana Tulloch and Mark Joesbury to find. There will be no warning about who will be next. There will be no good reason for Lacey Flint to become involved. And no chance that she can stay away. Can you commit the perfect crime? Pilgrim is the codename for a man who doesn't exist. The adopted son of a wealthy American family, he once headed up a secret espionage unit for US intelligence. Before he disappeared into anonymous retirement, he wrote the definitive book on forensic criminal investigation. But that book will come back to haunt him. It will help NYPD detective Ben Bradley track him down. And it will take him to a rundown New York hotel room where the body of a woman is found face down in a bath of acid, her features erased, her teeth missing, her fingerprints gone. It is a textbook murder - and Pilgrim wrote the book. What begins as an unusual and challenging investigation will become a terrifying race-against-time to save America from oblivion. Pilgrim will have to make a journey from a public beheading in Mecca to a deserted ruin on the Turkish coast via a Nazi death camp in Alsace and the barren wilderness of the Hindu Kush in search of the faceless man who would commit an appalling act of mass murder in the name of his God. 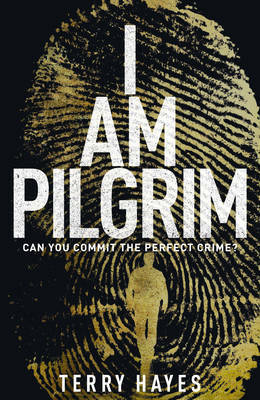 I Am Pilgrim is by Terry Hayes and is due to be published in June 2013. London, 1583. When young, aspiring playwright William Shakespeare encounters Lucy Morgan, one of Queen Elizabeth I's ladies-in-waiting, the two fall passionately in love. He declares Lucy the inspiration for his work, but what secret is Will hiding from his muse? Meanwhile, Lucy has her own secret - and one that could destroy her world if exposed. No longer the chaste maid so valued by the Virgin Queen, she also bore witness to the clandestine wedding of Lettice Knollys and Robert Dudley, a match forbidden by the monarch. England is in peril. Queen Elizabeth's health is deteriorating, her throne under siege from Catholic plotters and threats of war with Spain. Faced with deciding the fate of her long-term prisoner, Mary, Queen of Scots, she needs a trusted circle of advisors around her now more than ever. But who can she turn to when those closest to her have proved disloyal? And how secure is Lucy's position at court, now that she has learned the dangerous art of keeping secrets? 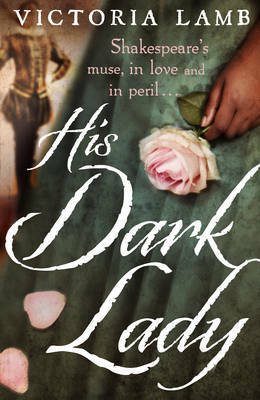 His Dark Lady is by Victoria Lamb and is due to be published in February 2013. 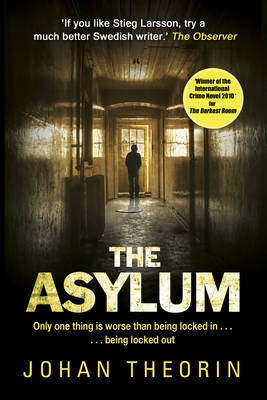 The Asylum is by Johan Theorin and is due to be published in March 2013. Dear Ivan, is it possible to write a love letter to someone you have never met? I've only seen your picture in the newspapers, below those terrible, screaming headlines. There is something about the look in your eyes, so calm and wise and yet so penetrating. I would like you to be able to look at me in reality too. I would love to meet you...An underground passage leads from the Dell nursery to Saint Patricia's asylum. Only the children enter, leaving their minders behind. On the other side are their parents - some of the most dangerous psychopaths in the country...Jan has just started working at the nursery. He is a loner with many secrets but only one goal. He must get inside the asylum...What is his connection with one of the inmates, a famous singer? What really happened when a boy in his care went missing nine years ago? Who can we trust when everyone has something to hide? Morning Frost is the third book in the prequel series, starring R. D. Wingfield's unforgettable creation Jack Frost – younger, greener and just as uncivilised. October 5th, 1982. It's been one of the worst days of Detective Sergeant Jack Frost's life. He has buried his wife Mary, and must now endure the wake, attended by all of Denton's finest. All, that is, apart from DC Sue Clark, who spends the night chasing a bogus tip-off, before being summoned to the discovery of a human hand. And the night gets worse. Local entrepreneur Harry Baskin is shot outside his club, an off-licence is set on fire and a famous painting goes missing. And Superintendent Mullett's attempts to join the Freemasons are being rudely thwarted. As the week goes on, a cyclist is found dead in suspicious circumstances, and the arsonist strikes again. Frost is on the case, but another disaster -- one he is entirely unprepared for -- is about to strike. Morning Frost is by James Henry and is due to be published in June 2013. The most famous police officer in Sweden is found murdered in his bed. His four-year-old son has vanished without a trace. His wife Julia is under suspicion and no one believes her when she says she is innocent. No one except her best friend Nina, also a police officer. And possibly news reporter Annika Berngtzon. Thomas has left her and is demanding custody of their children. The newsroom at the Evening Post is in chaos as cutbacks means many of the journalists are losing their jobs. So Annika turns all her energies to her work, investigating the life of the murdered man. But if Julia is telling the truth, where is their son? Lifetime is by Liza Marklund and is due to be published in April 2013. 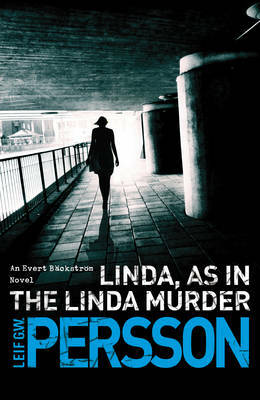 Linda, As in the Linda Murder is by Leif G W Persson and is due to be published in February 2013. In the middle of an unusually hot Swedish summer, a young woman studying at the Vaxjo Police Academy is brutally murdered. Police Inspector Evert Backstrom is unwillingly drafted in from Stockholm to head up the investigation. Egotistical, vain and utterly prejudiced against everything, Backstropm is a man who has no sense of duty or responsibility, thinks everyone with the exception of himself is an imbecile and is only really capable of warm feelings towards his pet goldfish and the nearest bottle of liquor. If they are to solve the case, his long-suffering team must work around him, following the scant few leads, which remain after Backstrom’s intransigence, has let the trail go cold. Blackly comic, thrillingly compelling and utterly real, "Linda, As in the Linda Murder" is the novel, which introduces the reader to the modern masterpiece that is Evert Backlstrom, a man described by his creator as 'short, fat and primitive'. He is, without doubt, the real deal when it comes to modern policing. A family man - The bodies of a man, woman and child are found, lying in pools of blood. The owner of the inn where the bodies are discovered has fled. However, he is not alone - he has taken his two young sons with him. No one knows what he's going to do next...A professional front - DC Janet Scott has survived a terrifying attack, and is now having second thoughts about her life and steady marriage - but if she acts on her feelings she risks tearing her family apart. Her best friend DC Rachel Bailey is reeling from a love affair that could have killed her - literally. It's hard to stay focussed. A united force - Gill Murray has enough of her own problems without the team falling apart. She knows they must work together if they are to find the desperate man before he makes his final move. But one question haunts her: what will they have to do to stop him? The second Scott and Bailey novel by Cath Staincliffe is due to be published in March 2013. If I close my eyes now, I can still feel her blood on my fingers. If only I had closed my eyes then, or kept my mouth shut, not told anyone about our discovery by the swimming hole, it might not have stopped our childhood, dead. We could have gone back to dreaming about spaceships. A horrifying discovery by two young boys while playing in a mango plantation marks the end of their childhood. As they finally open their eyes to the adult world, they see a place where storybook heroes don't exist but villains and lies do... 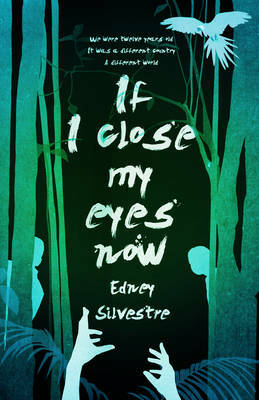 If I Close My Eyes Now is by Edney Silvestre and is due to be published in May 2013. AD 69. Aulus Caecina Severus has thrown in his lot with the hedonistic Vitellius and prepares his legions for a gruelling march over the Alps. Driven by the desire to repay the treachery of his former patron, the Emperor Galba, and to keep his rival Valens in check, Severus leads his army against barbarian rebellions and against the mountains themselves in his race to reach Italy first. With the vast Po valley almost in sight, news reaches the army that Galba has been killed in a coup, and that Otho has been declared Emperor by the Praetorians who he had bribed to murder their own emperor. But there is no turning back for Severus, even if he wanted to. The Rhine legions want their man on the throne, and they won't stop until they reach Rome itself. Even once Otho is defeated, the battle for supremacy between Severus and Valens is far from over. The politics of the court and the mob is the new battleground, and Severus needs the help of his wife Salonina and his freedman Totavalas in this constant game of thrones. When stories spread of a new power in the east, Severus has to decide where his real loyalty lies: to his Emperor, to his city or to himself? The Sword and the Throne is the working title of the latest book by Henry Venmore-Rowland. It is due to be published in June 2013.